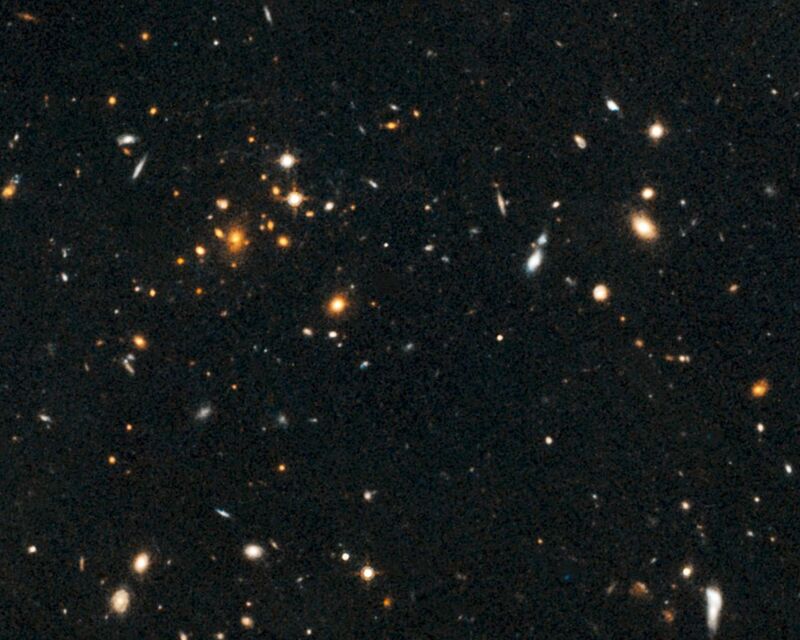 This image, taken by NASA's Hubble Space Telescope, show an arc of blue light behind an extremely massive cluster of galaxies residing 10 billion light-years away. The giant arc is the stretched shape of a more distant star-forming galaxy whose light is distorted by the monster cluster's powerful gravity, an effect called gravitational lensing. 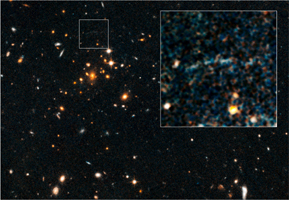 The "lensed" galaxy existed 10 billion to 13 billion years ago. 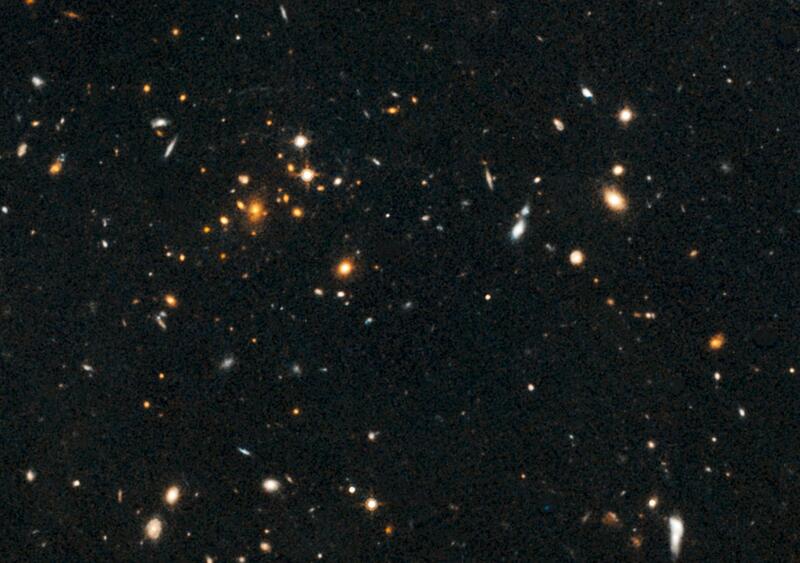 The arc, located within the small box, is barely visible in the Hubble image of the cluster, named IDCS J1426.5+3508. A close-up image of the arc is shown in the inset in Figure 1. 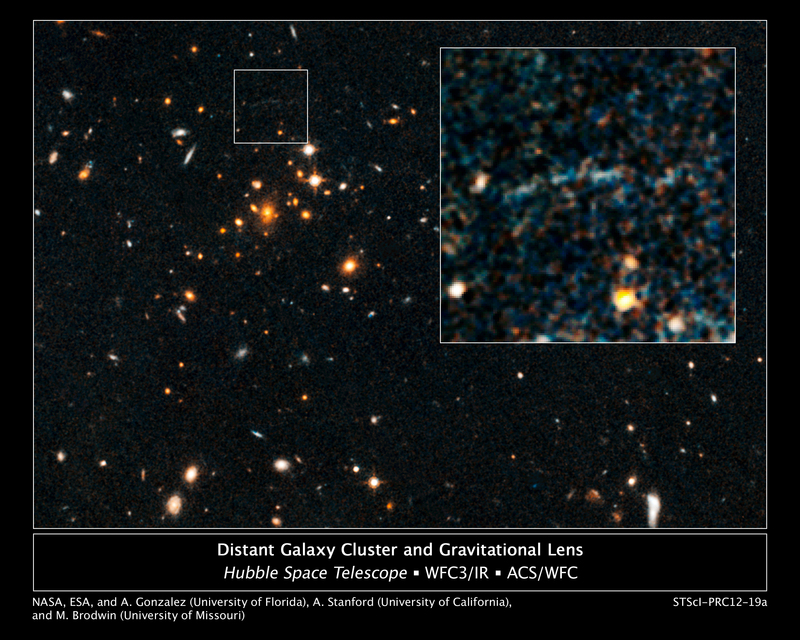 The images were taken by Hubble's Advanced Camera for Surveys and Wide Field Camera 3 in 2010. 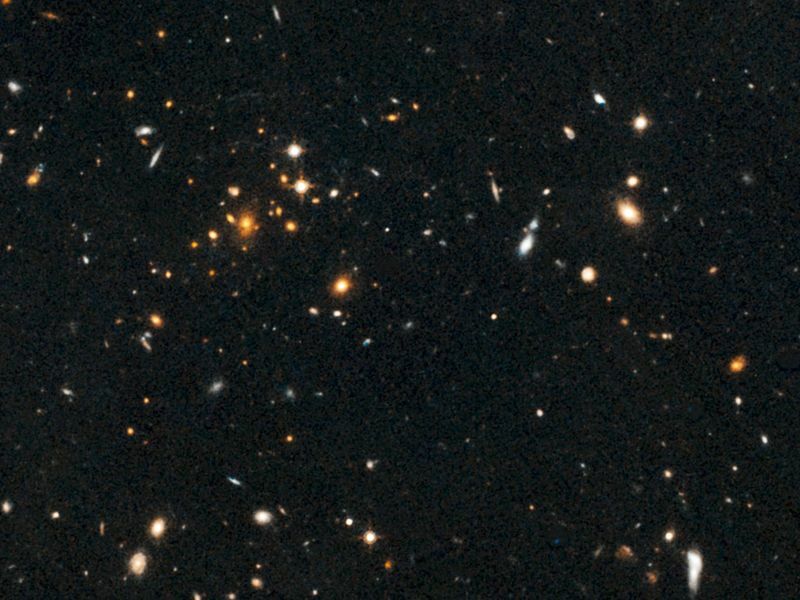 The cluster is the most massive found at that epoch, weighing as much as 500 trillion suns. 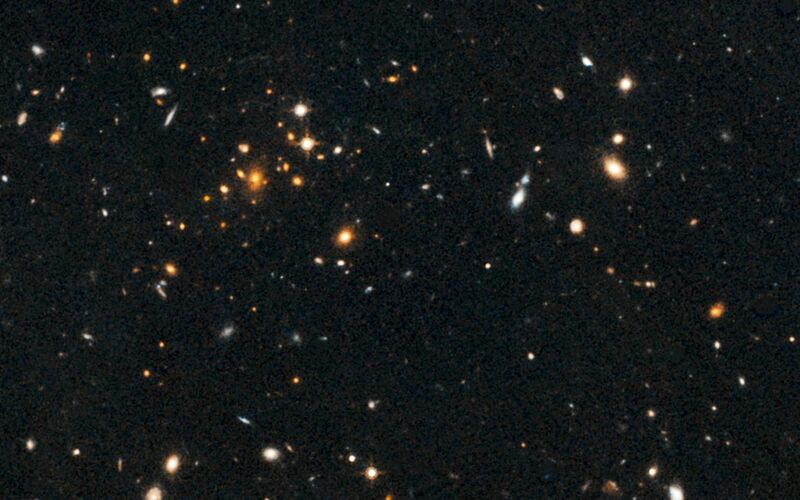 The assemblage is 5 to 10 times larger than other clusters found at such an early time in the universe's history. This unique system constitutes the most distant cluster known to "host" a giant gravitationally lensed arc.